When you look at the different types of Chinese feng shui, you find they are not always consistent with one another. However, they all share the common underlying belief that you must live in harmony with nature and then you will benefit from the cosmic energy, known as chi. The two main types of feng shui are classical and modern. Within each of those types, there are further breakdowns of feng shui types, or schools. The history of classical feng shui, also known as traditional feng shui, dates back thousands of years. It was used to design the layout of cities, temples, palaces and other buildings. It was also used to find the best location for gravesites and for agriculture. Based on science and the interaction of heaven and earth, the principles of classical feng shui use the five elements and the balance of yin and yang. The Form School, also known as the Landscape School, is based on the actual landscape of the countryside and the symbolism of the natural shapes found there. It does not use the directions of the compass in any way. The original name of this type of feng shui is the San He School. The Compass School uses tools including the lou pan or feng shui compass, the lo shu square, and the bagua. This type of feng shui further divides into several schools. Although the classical form of feng shui is practiced in the Western part of the world, its popularity is strongest in the Eastern cultures. The Xuan Kong School, also known as Flying Stars, is considered by many in the Eastern World to be the highest form of feng shui. Ba Zhai, known as the Eight Mansions, Eight Houses, or East-West School is a highly respected type of feng shui. Feng shui became popular in the western part of the world in the 1960s. Modern feng shui methods are based on the layout of a space such as a house or business and the arrangement of the furnishings and decorative objects to maximize the flow of chi within the space. 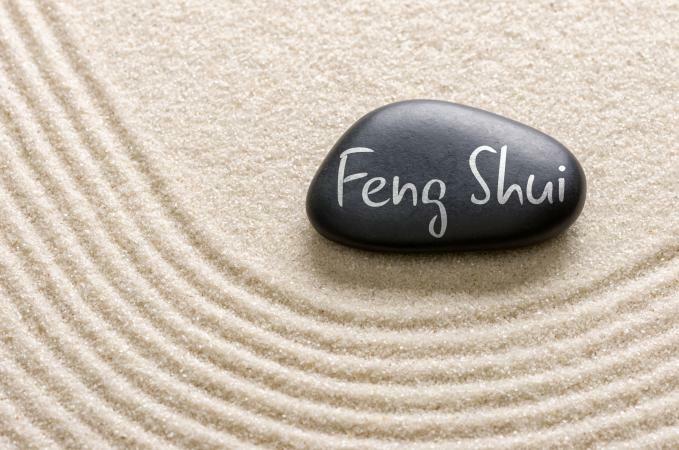 The following types of feng shui are considered modern schools of feng shui. The Pyramid School of feng shui is the most personalized type. It seeks to marry Western and Eastern feng shui traditions and dispel myths associated with feng shui while honoring all traditions. This school combines a Western approach to feng shui with intuition and reading of energy. Practitioners follow Western feng shui in form, but their intuition plays a big role in the recommendations they make. Throughout the centuries, the types of feng shui have developed and evolved as new methods and ideas were instituted. However, when you compare the different types of Chinese feng shui, it is easy to see the underlying foundation and principles that have existed from the earliest days to the present. The knowledge of the importance of living in harmony with nature and having the cosmic energy of life, known as chi, flow freely around us is the basic principle of feng shui regardless of the type you practice.